Serves that punk Mark Wahlberg right for stealing my name. I ought to punch him in the eye. He’ll feel the vibrations. To Dennis Pluchinsky et al: As to your comment there are no extra photos of the major pieces in the scrapbooks there are 25 or so extra photos right there on the item page. You may not be lookng in the correct place. If you have further trouble please email me directly at jevans@optonline.net. Those scrapbooks are incredible. I really hope that they can be made accesible for all researchers. One of 2015s best finds so far. I wonder how Barry Halper didn’t get the scrapbooks for a case of Jameson and $500. 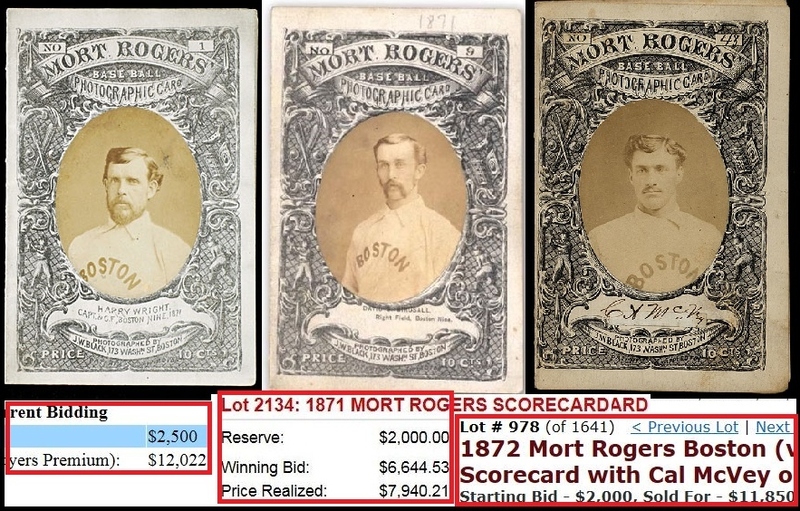 I saw Olbermann say on his show ripping Roadshow that there are “2dozen different” Mort Rogers score cards known and 100 in total. Is that true? Including this new Roadshow find of trimmed score cards I could only verify approximately 30 Mort Rogers examples including other Philadelphia and Cleveland players. Unless there is some big stash somewhere that has not been made public, I’d say he’s way off. The HOF says they only have 2 in their collection (one being Levi Meyerle). 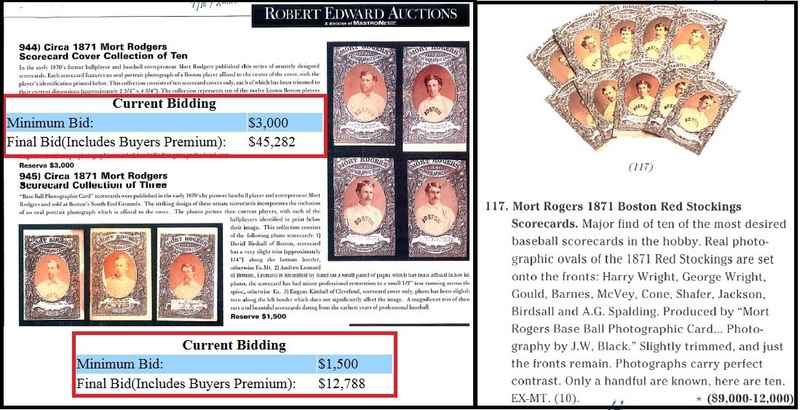 In Lipset’s 1983 Encyclopedia of 19th century cards he didn’t even identify them as “Mort Rogers Scorecards”. 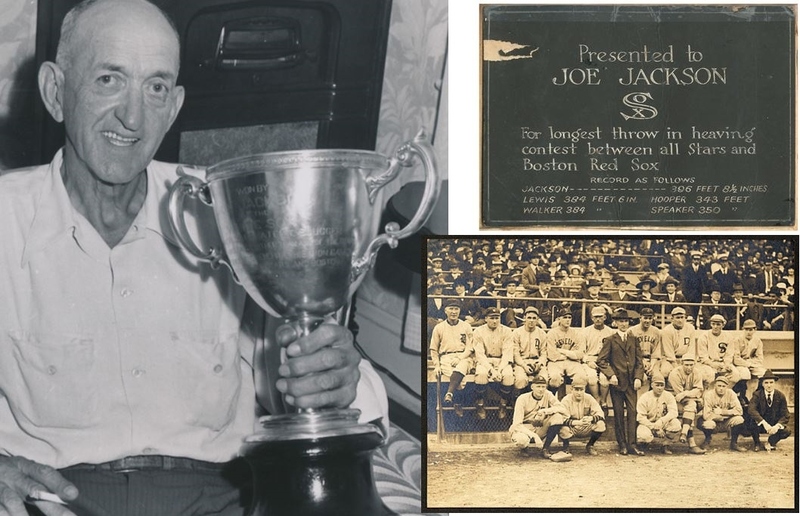 The other score card in the HOF collection has a portrait of Davy Force. Those Jackson scrabooks are at 15,000. Now that would be a real steal. I thought the PBS “expert” stated she would have the vintage Boston items insured for a million bucks, not worth a million bucks. But, the next owner does not own these yet, and while the items are in Leland’s possession couldn’t they professionally scan each item before the lot is sold? I know appraisals for insurance purposes can be higher, but I’m not sure an appraisal 4 to 5 x higher than the actual value is the standard. I didn’t realize there is such a thing as “record-breaking” inflated insurance appraisals. Lelands has scanned the entire contents of all of the Jackson scrapbooks and they are posted on their website with the lot description. 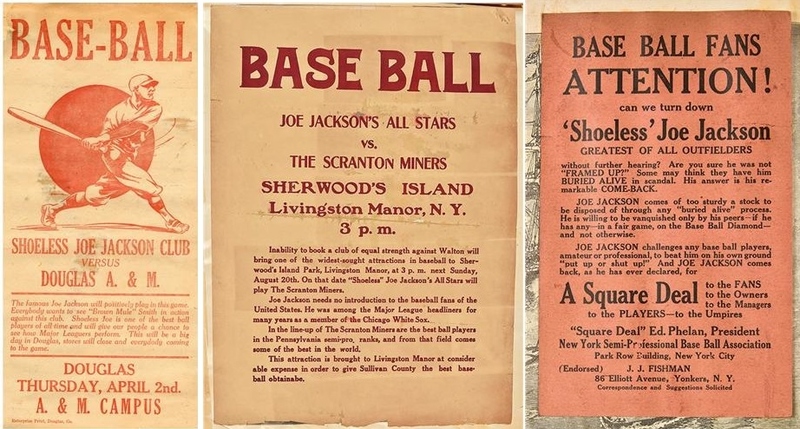 Hope the “Shoeless Joe” Jackson scrapbook(s) don’t end up at the Hall of Fame. We’ll never see those again!